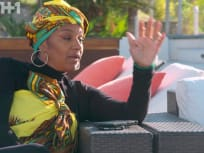 On Basketball Wives Season 7 Episode 10, Evelyn's trip to Puerto Rico became an emotional experience. On Basketball Wives Season 7 Episode 8, Jackie starred in a play but worried that she was going to falter. 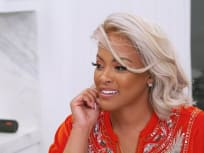 On Basketball Wives Season 7 Episode 7, Shaunie wanted to know all the ins and outs of what was going wrong in her friend circle. 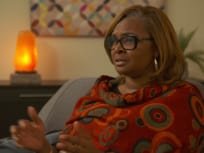 On Basketball Wives Season 7 Episode 5, Evelyn opens up about the future of her embryos after another public argument.
" 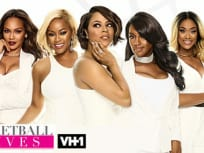 Grills and Drama in H-Town"
On Basketball Wives Season 7 Episode 4, Jackie went to a therapist for her personal issues and had to make a decision about the future. 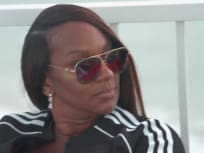 On Basketball Wives Season 7 Episode 3, Jackie put a plan in place to get everyone to know OG better. 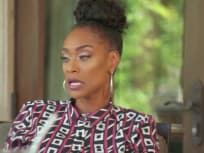 "Pizza With a Side of Tea"
On Basketball Wives Season 7 Episode 2, the ladies met up to discuss what really happened with CeCe, but did CeCe have a tale of her own? 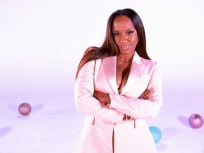 On Basketball Wives 7 Episode 1, Jackie Christie opened up about a personal struggle, but what was it?